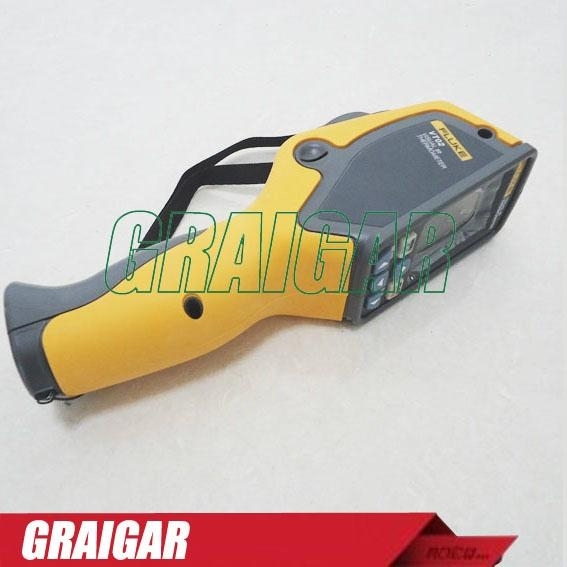 The VT02 Visual IR Thermometer combines the convenience of a spot thermometer with the visual advantage of a thermal imager creating a brand new tool category ? a troubleshooting camera with infrared heat map. Using hyper-thin pyroelectric technology, Fluke discovered a way to push the limits of this technology pioneering an array dense enough to create an infrared heat map. 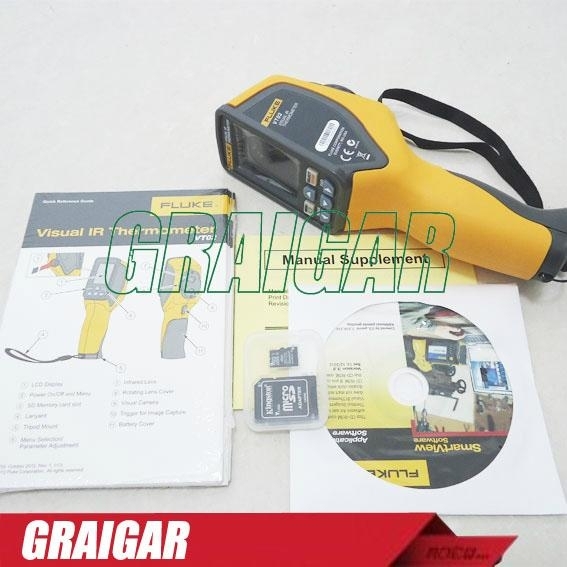 The VT02 Visual IR Thermometer is a great in-between tool for those times when a single spot temperature reading isn?t enough and a high-resolution thermal image is more than you need, or can afford. Now you can detect and capture issues instantaneously with digital and thermal blended images, pinpoint hot and cold spots with temperature markers, and document problems efficiently with SmartView® professional reporting software! Traditional infrared thermometers may seem affordable and convenient, but they only show an average temperature of an area and the farther away, the less accurate. 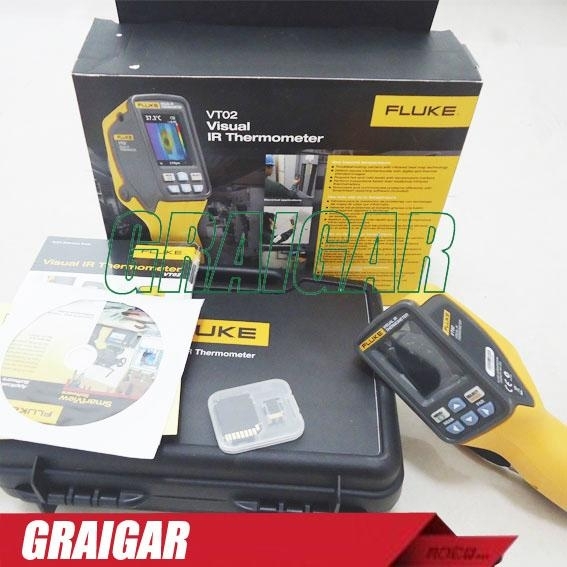 Because traditional infrared thermometers only measure an average area, it is often impossible to accurately identify what you are actually measuring; with the Fluke VT02 Visual Thermometer you get the visual image of exactly what you are measuring. Eliminate the tedious tasks of taking multiple grid readings and manual recording of temperature measurements with an IR thermometer. Lose the pen, paper, and clipboard, the Fluke VT02 saves a blended infrared and visual image with every image capture instantly! In one blended picture your customers get the complete picture and can compare readings from different dates which saves them valuable time and ultimately money. Pinpoint with hot and cold markers. Half of the issue is detecting where it started. While a blended picture speaks a thousand words, so do hot (red box) and cold (blue box) spot markers. When you see a hot or cold spot, you can save the image with the temperature reading and pinpoint the exact location using the blending between full thermal to full visual. Producing a professional report with Smartview® Software is just as powerful as the VT02 tool itself. Your customers will be able to communicate the issues that they?ve detected or document repairs that have been fixed. 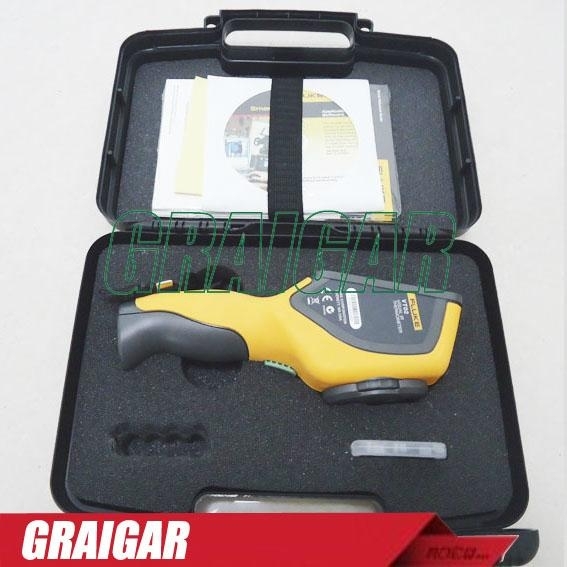 Expand diagnostic services with the Visual Infrared Thermometer. The first to find the problem is oftentimes the first in line to fix the problem. Telling someone they have a problem is not nearly as convincing as proving your point with a visual image blended with a thermal heat map. 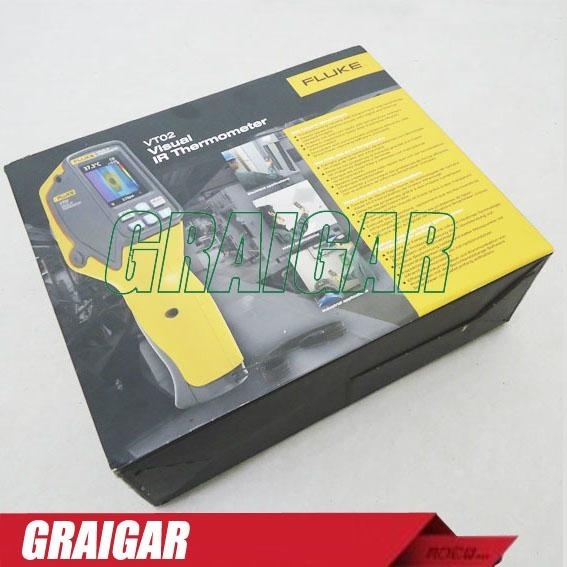 With the striking affordability of the VT02, your clients can add a high margin service and move from buying one thermal imager for their company to a business expanding tool for each associate. Storage medium 2 Gb Micro SD card.